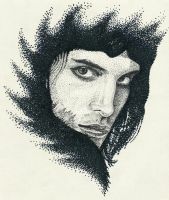 I love music and draw, expecially Queen and others rock bands of the 70's and 80's. WOW... he looks perfect... absolutely amazing!! You got his expression perfect, his nose is absolutely amazing and his eyes are the mose georgeous things ever!! You, are amazing!! thank you so much dear!! I have never received such a comment full of enthusiasm! I'm so flattered, thank you again!! Take care! His nose... It's perfect. everything is, really! Really nice portrait!! i love it!! Thank you so much, I will check it! Oh my...this is unbelieveable, probably the best I've ever seen. Gorgeous, amazing, awesome. It makes me love him even more. I still can't believe it's a drawing so... AWESOME!! Wow, this is nice. I like his expression. wow! I love his eyes good job! VERY nicely done drawing ! Grazie mille!! *____* anche il tuo non è male, mi piace molto!! E' proprio vero che, alla fin fine, le cose che si disegnano meglio sono quelle che piacciono di più! Oh gosh, it's outstanding! Wish I could draw like that ... sigh! Anyway, your work is simply beautiful, I adore Brian's expression! Let me ask ... but "from Milan" means Milano, Italy? Milan is a capital of ones of Italia country! Yes is Milano! Thanks a lot for your compliments, I'm very glad that you like it! It's a honour for me!! xD I'm very happy to know that you have use my draw like a desktop!! XDXDXD Really?! XDXDXD Thanks a lot!! ANOTHER SPOT ON DRAWING OF BRIAN!!!! I LOVE IT!!! IT'S SO BEAUTIFUL!!! I LOVE YOU!!! 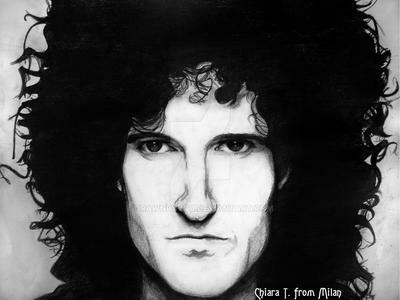 this picture and another one that is in my favourites are my TOP faves of Brian may cuz they are the only two pictures where i have seen them and they are SOO SPOT ON that they look like photos almost so this really is truly amazing!!! Thank a lot darling, I respect you!! I'm very glad that you appreciate them! !